* once in a while, i use different products that aren't mentioned here. i will share with you in the near future! 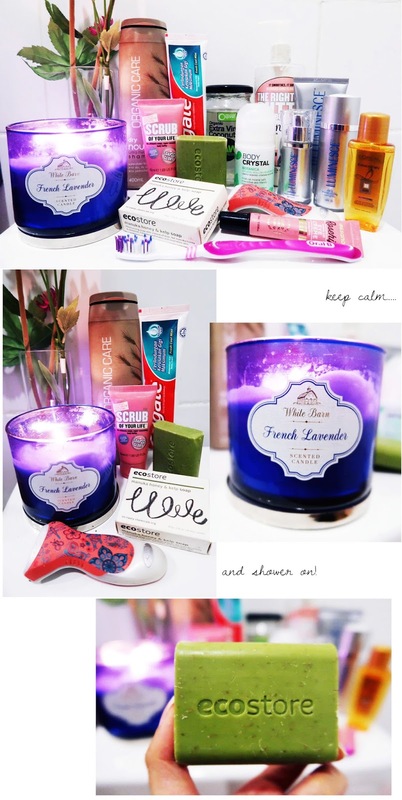 I love everything with lavender so I'm super tempted by that candle! I also always include a Spotify playlist when I shower, it's the best!!! Everything looks soo good!! I would love to try th soap and glory scrub! love the idea of using a candle during showers and baths, seems so soothing! Love the photos, so colorful and fun!